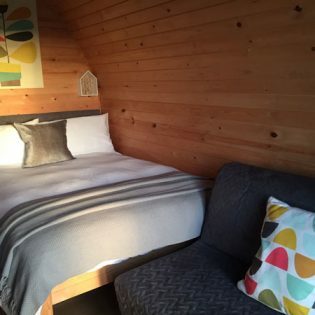 Our aim is to create an upmarket glamping experience by providing a comfortable, enjoyable stay in one of our pods hoping that you leave us feeling relaxed & refreshed. 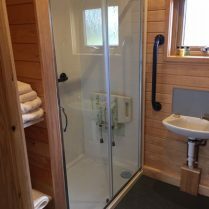 Meadowsweet, Cowslip, Honeysuckle and Harebell pods are all furnished to a high standard with an en-suite shower room. 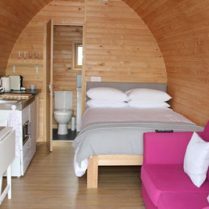 Each pod houses a double bed, with bedding, linen and towels. Sofa bed, kitchenette with sink, microwave, fridge, toaster, kettle, coffee machine, crockery, cutlery & other kitchen essentials. 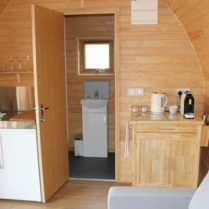 There is a TV, hair dryer, wall heaters in Meadowsweet & Cowslip pods and underfloor heating in the other two. Outside is a private patio area with table & chairs and barbeque. A welcome pack awaits you consisting of local bread, Cheshire butter, semi skimmed milk, a sweet treat, chilled filtered tap water & ice. There is also English breakfast tea, Nespresso coffee pods, sugar, Ecover washing up liquid, dish cloth, sponge, loo & kitchen roll, handmade natural soap made here at Bradley Hall, cling film & Ecover cleaning spray & cloth. There are toiletries available on request. Parking is outside the pod field with a short walk to the pods. Meadowsweet pod is approximately 40 metres from the parking area. This is also suitable for guests with limited mobility and is wheelchair friendly. We allow well behaved dogs in here dependant on breed. It is a quiet site, adults only & open all year round. 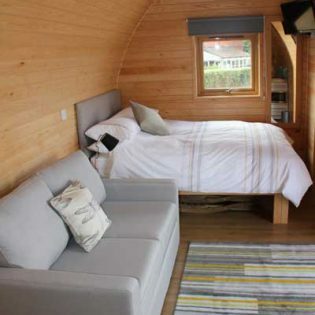 All of our pods accomodate 2 people comfortably but can sleep up to 4 adults. Please contact us before booking to discuss if more than 2 people wish to stay. Please read our terms & conditions before you book. 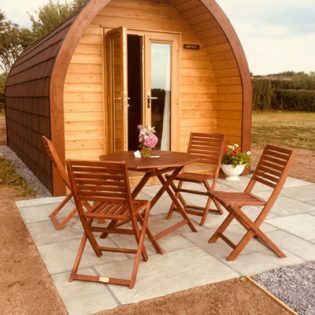 It may seem that there are a lot of rules but we would really like to keep our pods looking lovely for all our guests. 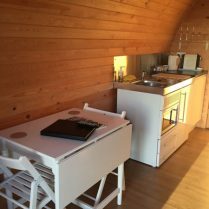 Meadowsweet Pod is furnished to a high standard with an en-suite with shower and sleeps 2. This pod is the closest pod to the parking area (being approximately 40 metres away). We accept well behaved dogs in here (dependant on breed & maximum of 2). Please contact us before booking as certain breeds are not suitable. 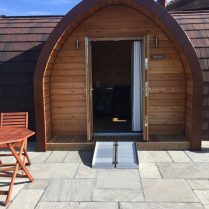 This pod is also suitable for someone with limited mobility and is wheelchair friendly. 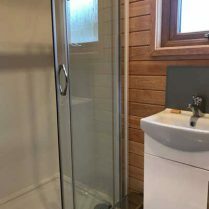 It has a larger bathroom with grab rails, shower seat and a call system. We can provide a foldable ramp for access to the pod. 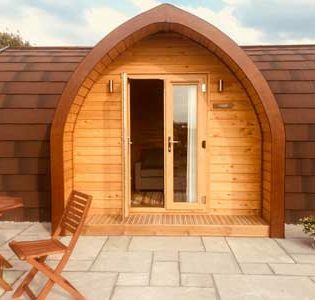 Meadowsweet pod has a double bed, with bedding & linen provided along with towels. 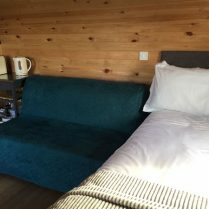 There is a sofa bed (bedding can be provided), kitchenette with sink, microwave, folding table & chairs, fridge with freezer space, toaster, kettle & coffee machine. The pod is kitted out with cutlery, crockery and other kitchen essentials. There is a TV/DVD player, hairdryer, wall heater and smoke detector. 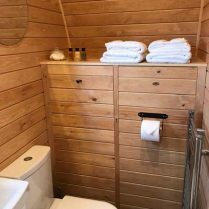 The bathroom has a toilet, sink, shower & heated towel rail. Outside is a private patio area with table & chairs and barbecue. A welcome pack awaits you consisting of bread (Huxleys bakery, Malpas), a sweet treat, Cheshire butter, semi skimmed milk, chilled filtered tap water & ice. There is also English breakfast tea, nespresso coffee pods, sugar, Ecover washing up liquid, dish cloth, sponge, loo & kitchen roll, handmade natural soap made here at Bradley Hall, cling film & Ecover cleaning spray & cloth. There are toiletries available on request. 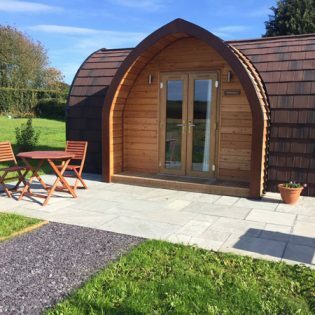 Cowslip Pod is furnished to a high standard with an en-suite with shower and sleeps 2. There are great views across to Malpas from the sofa. 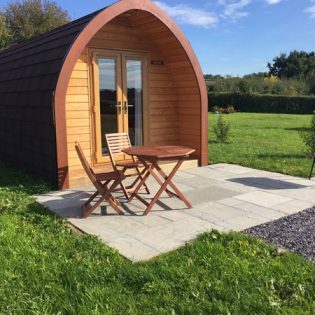 Cowslip pod has a double bed, with bedding & linen provided along with towels. 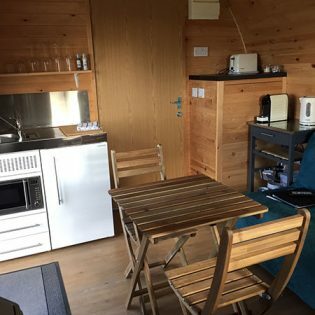 It has a sofa bed, kitchenette with microwave, fridge with freezer space, toaster, kettle, coffee machine & sink, heated towel rail, wall heater, TV, folding table & chairs, hairdryer and smoke detector. Please see here for a full pod inventory. A welcome pack awaits you consisting of bread (Huxleys bakery, Malpas), Cheshire butter, semi skimmed milk, chilled filtered tap water & ice. There is also English breakfast tea, nespresso coffee pods, sugar, Ecover washing up liquid, dish cloth, sponge, loo & kitchen roll, handmade natural soap made here at Bradley Hall, cling film & Ecover cleaning spray & cloth. There are toiletries available on request. 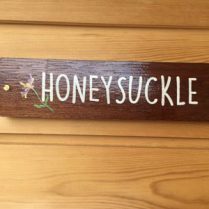 Honeysuckle Pod is furnished to a high standard with an en-suite with shower and sleeps 2. Honeysuckle pod has a double bed, with bedding & linen provided along with towels. 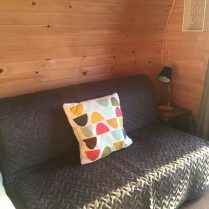 A sofa bed (bed linen can be provided), table & chairs, kitchenette with microwave, fridge with freezer space, toaster, kettle, coffee machine & sink. The pod is kitted out with cutlery, crockery and other kitchen essentials. For a full inventory, please see here. There is a TV, underfloor heating, heated towel rail, hair dryer and smoke detector. A welcome pack awaits you consisting of local bread (Huxleys bakery, Malpas), a sweet treat, Cheshire butter, semi skimmed milk, chilled filtered tap water & ice. There is also English breakfast tea, nespresso coffee pods, sugar, Ecover washing up liquid, dish cloth, sponge, loo & kitchen roll, handmade natural soap made here at Bradley Hall, cling film & Ecover cleaning spray & cloth. There are toiletries available on request. 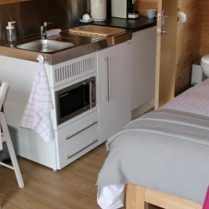 Harebell Pod is furnished to a high standard with an en-suite with shower and sleeps 2, it is the last of the four pods. 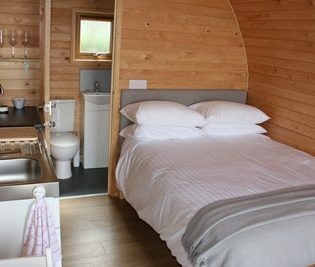 Harebell pod has a double bed, with bedding & linen provided along with towels. 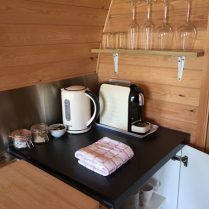 A sofa bed, table & chairs, heated towel rail, hairdryer, kitchenette with sink, microwave, fridge with freezer space, toaster, kettle, coffee machine & sink. The pod is kitted out with cutlery, crockery and other kitchen essentials. Please see here for a full inventory. To keep you warm the pod comes equipped with underfloor heating. Even though we have the beautiful Cheshire countryside just outside the pod, for those inside times there is a TV. Of course, all of our pods are fitted with a smoke detector. Outside is a private patio area with table & chairs and barbecue, where better to spend the evening with a glass of wine and watch the sunset?